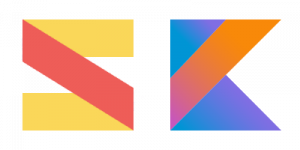 SuperKotlin is a project started by Strumenta with the goal of making easier to as many organizations and developers as possible to benefit from Kotlin. The reason for that is that we believe that Kotlin can really impact the way we develop software: both in terms of quality we can achieve, of reduced complexity and sheer joy of using it. If you want to discuss other ways we can help you or the community regarding Kotlin please contact us.